Yale Hook and Eye Company was founded in 1914 under the name RKM Manufacturing. In 1919 the name was changed to Yale Hook and Eye. The company amassed a formidable patent portfolio in its early years, which allowed it to dominate the industry. 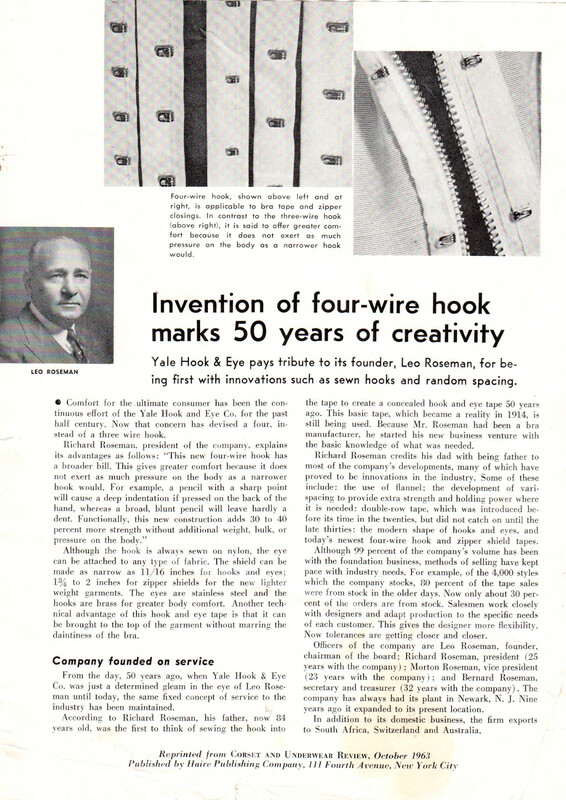 On the eve of its 50th anniversary, the trade press summarized the history and status of the company.